Join Capt. Jeremy for a full day offshore Gulfstream adventure or a nearshore half day trip on the Calypso, a beautiful 45' Custom Carolina Sportfisher built by Capps Boatworks. She's the newest boat in the Hatteras Harbor Offshore Fleet! Get to the fishing ground faster and experience world-class sport fishing aboard a first-class boat! We have a refrigerator, air conditioning and a private bathroom for your convenience! 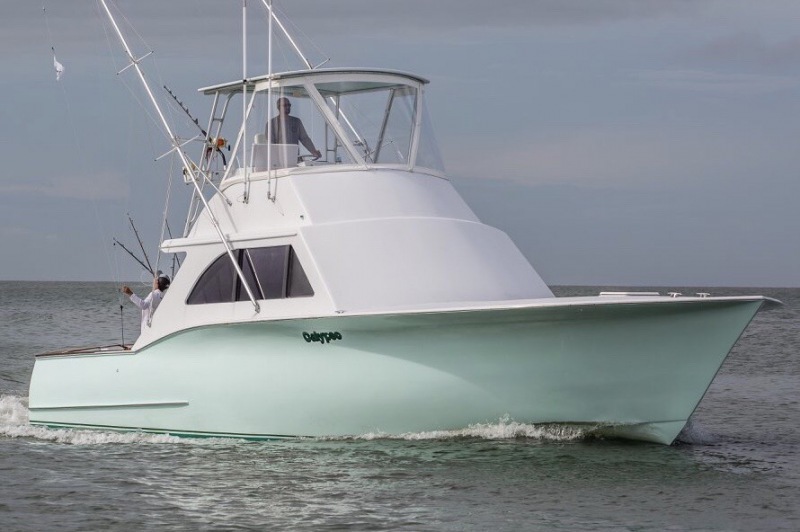 Equipped with the latest Garmin Electronics and Shimano Tackle from spinning rods to 100# class, the Calypso is ready to provide you with a fun, safe day on the water. Owner and operator Capt. Jeremy has been fishing out of Hatteras for over 11 years now, first as a mate and now at the helm. Whether you want to target billfish, tuna, mahi or wahoo in the Gulfstream, or you want to stay in sight of land and target smaller game, the Calypso and Capt Jeremy are ready to give you the experience of a lifetime! We also offer live bait king mackerel trips in the fall and custom trips, as well as corporate and tournaments. Thanks for your interest in the Calypso.